Particle Count Analysis is a broad field of particle analysis, using multiple techniques and methodologies to acquire data about the density and concentration of solid, liquid, or gaseous particles in a sample. High-sensitivity imaging technology, electrical sensing zone (ESZ) techniques, and light obscuration methods are all used to measure the concentration or volume of particles, with proven applications in material characterisation and environmental studies. At Meritics, we provide Laboratory Analysis using a range of particle counters, including the Multisizer 4e which uses Electrical Sensing Zone analysis; the Spectradyne nCS1 uses resistive pulse sensing to count and size from 2um down to 50nm and the FlowCam range which uses Dynamic Imaging. Beckman Coulter Multisizer 4e, with a range of 0.2µm to 1600µm is widely used in many areas: Life Sciences such stem cells, cell biology, and Industrial such as toner, ceramics, sediments etc. as well as Pharmaceutical applications. The Coulter Principle (also known as ESZ – Electrical Sensing Zone) is hailed as probably the most significant advance in the field of particle technology, and tens of thousands of Coulter Counter instruments are in regular use worldwide. Most recently our scientists have been running a lot of water samples on the Multisizer 4e to measure contaminants. Contact us for a quote or to discuss your particle sizing needs. The Spectradyne’s nCS1TM has taken the Coulter Counter method and re-engineered the principle, it is now possible to count and size individual particles down to 50nm. 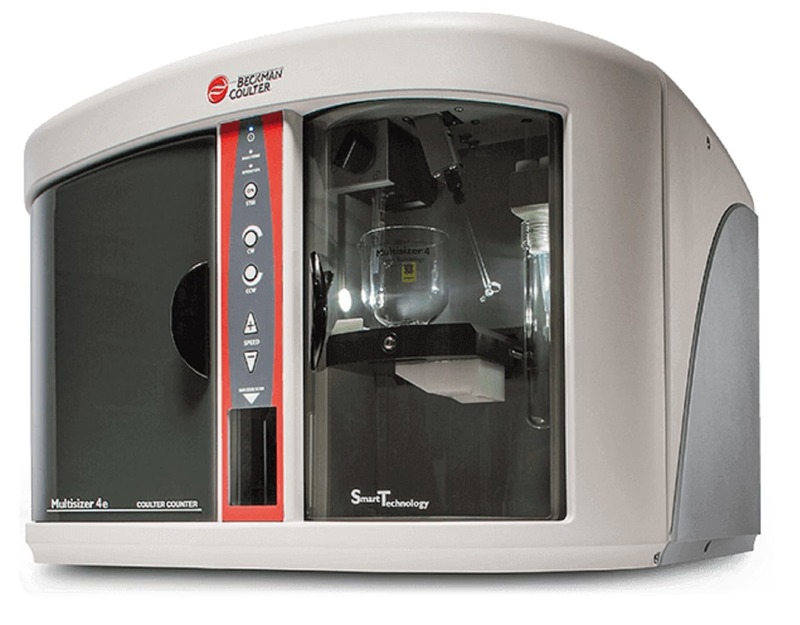 The Spectradyne nCS1TM instrument provides a unique platform for the rapid quantitative measurement of Nanoparticle size in solution. The instrument measures individual nanoparticles to produce particle size distributions with quantitative concentration information for particles from 40nm to 2000nm in size. Not relying on optical technology, the Spectradyne system can be used for protein aggregation studies, extracellular vesicle analysis, nanomedicine, virus studies etc. Disposable microfluidic cartridges eliminate cross contamination and make operation simple and straightforward from just 2-3µl of sample. 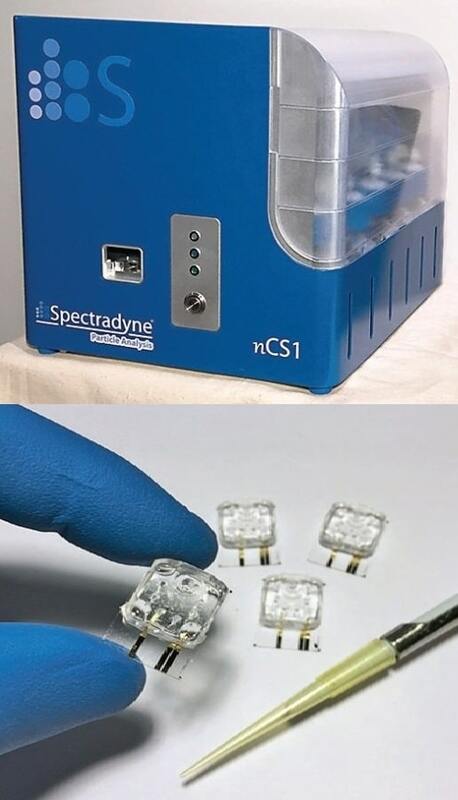 Spectradyne’s nCS1 instrument and associated analysis cartridges, are based on Spectradyne’s patented nanoparticle analyzer (NPA) technology. The heart of the instrument is the microfluidic cartridge, which allows the electrical detection of nanoparticles as they pass one by one through a nanoconstriction. Particles larger than the nanoconstriction are removed before reaching it by filters that are built into the cartridge. No pre-filtering of the sample is required by the user. Today microscopic examination and counting and sizing of small particles is commonplace, Meritics work with Fluid Imaging Technologies (FIT) and their FlowCam Image Analyser range can size from 300nm to 5mm in range, this takes the tedium involved away and frees up the scientist to analyse data comprehensively. Electron microscopes probe the size range below the limit of optical microscopy and a scanning technique enables pictures of the surface features of even very delicate surfaces to be made in exquisite detail. 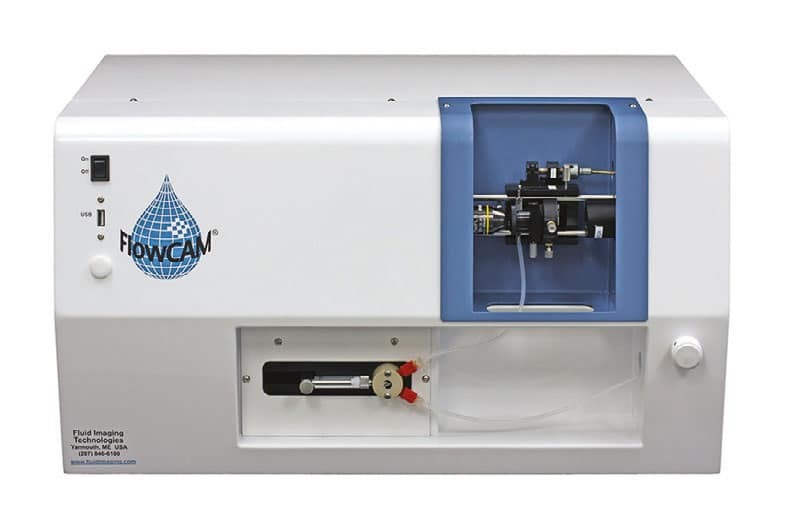 Most recently our scientists have been sizing sugar samples on the FlowCam VS1 to measure the size and to give an image of the particles.